Over the past few years, WordPress has become the undisputed #1 choice for professional bloggers and website owners. As of this writing, self-hosted WordPress has been downloaded 27,779,919 times. There are literally tens if not hundreds of thousands of premium WordPress theme templates available for download and purchase. While it’s possible to download free themes online, I would highly recommend being very careful about where you get your themes. There are a lot of poorly coded themes out there with vulnerabilities and security holes, not to mention structures that can hurt your site’s chances to rank in search engines. Do not download themes just from anywhere. I would make sure that the theme you install on your own site is being offered by a reputable company and has been coded by a competent coder (or team). One easy way to get a top quality theme is to buy it from a vendor who screens and vets the items they sell. Themeforest and Elegant Themes are 2 such premium theme shops that ensure their themes are well-coded and malware-free. 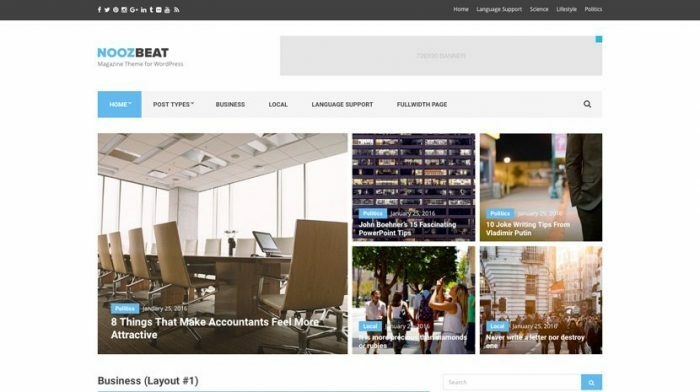 They have also become 2 of the most popular places for people to get themes – not only because they’re of premium quality, but also because they are beautifully designed to give your site that professional look and feel. Below we have collected only the best of the best and made sure all the themes are modern and responsive. The WordPress theme templates we include below have been rated 5 stars by people who have downloaded and had a chance to review the themes. 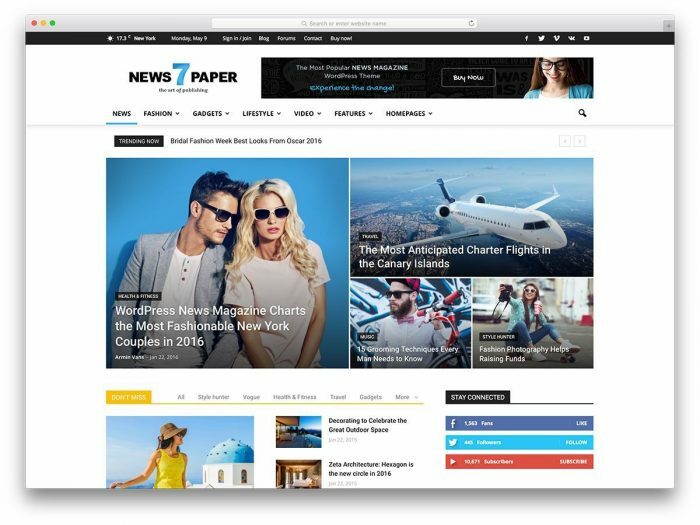 Newspaper is a WordPress theme which is the perfect choice for news, newspaper, magazine, publishing or review site. This theme allows you to write articles and blog posts with ease. It features a rating system and supports videos from YouTube. The theme comes integrated with bbPress Forum, BuddyPress and WooCommerce. It is fast, simple, easy to use and uses the best clean SEO practices. In addition, responsive Google Ads and AdSense are supported by Newspaper. Divi theme is the most popular, influential and undoubtedly the most beautiful theme till date. This template comes integrated with the Divi Builder, a page builder plugin that enables you to build well-designed websites using drag-and-drop elements. Divi is fully responsive which ensures that your site is displayed properly on all the devices. 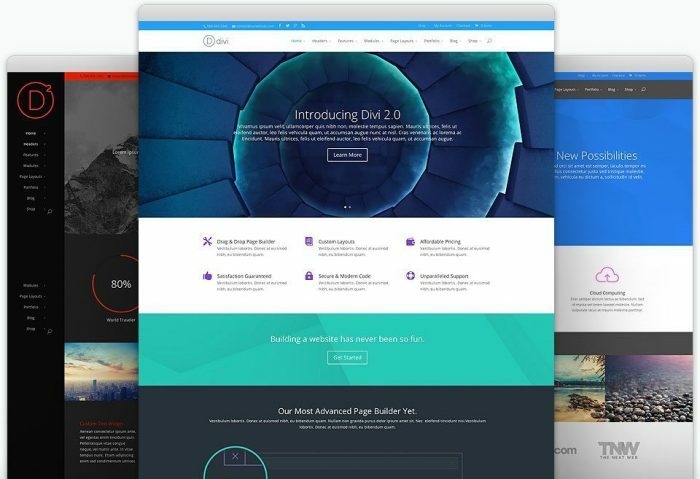 The Divi Builder has customizable modules that gives the theme enough versatility to produce different site designs. The theme comes with a surprising number of customizable features which allows to users to develop their site based on their requirements. 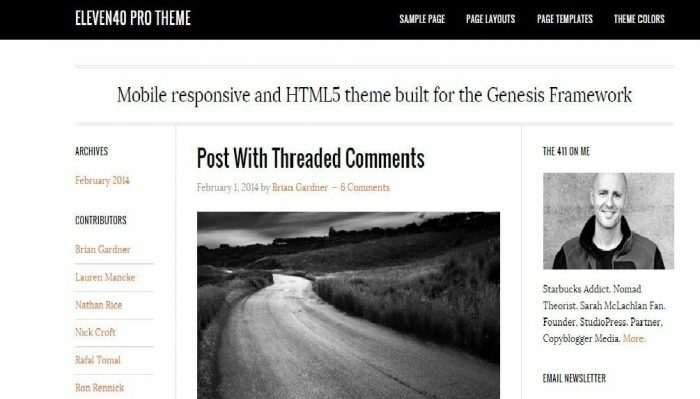 The Genesis theme empowers you to swiftly and easily build amazing websites with WordPress. 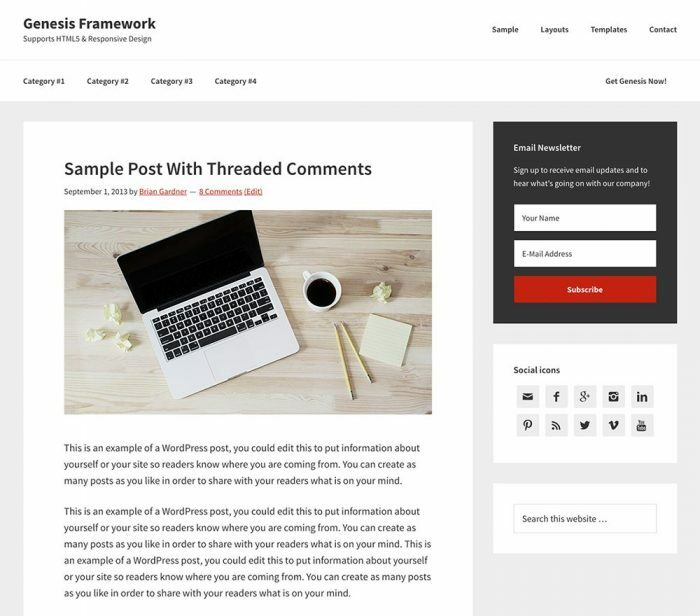 Genesis provides the secure and search-engine-optimized foundation that takes WordPress to places that you could never have imagined. The theme customizer enables you to tweak the theme’s settings, colors and content and also preview those changes in real time. Genesis is mobile responsive which means your website will be perfectly optimized for every browser, device and screen. By using the Theme Options you can make your site run in minutes and customize your website with just a few clicks of the mouse. 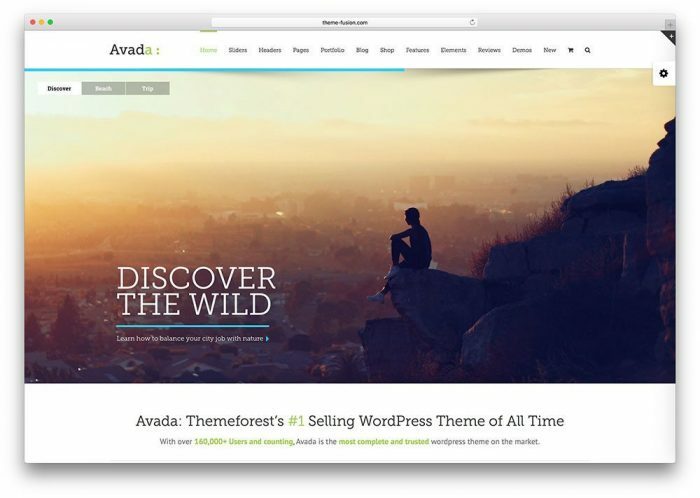 Avada is one of the most trusted and complete WordPress theme on the market making it the #1 selling theme for more than 4 years. It has powerful options, unlimited designs, responsive framework and fantastic support services. Virtually any design style can be built with the help of this theme. Avada provides you the access to professionally designed demos that are entirely made from Avada’s included options and require no custom coding. A user can import the included demos available for free with just one click. You can choose any of these beautiful themes to start building your site or you can even create your own unique design. 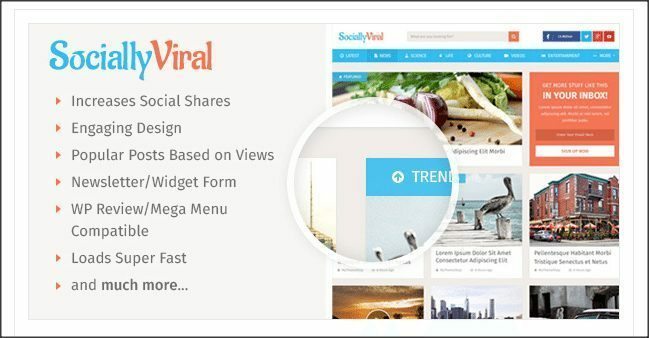 SociallyViral is a WordPress theme that is beautifully designed. This theme is built to be engaging, fast and boost viral traffic. SociallyViral has features which help to increase social sharing that will enable you to get more traffic from the web’s topmost social media websites. It also boosts your search engine rankings. The main purpose of this theme is to help bloggers get the best out of social media without the use of plugins. Bloggers and webmasters leverage on the use of Facebook, Twitter, LinkedIn, Google Plus in sharing their relevant posts. TechNews is a beautiful responsive theme that is developed with simplicity in mind. This theme packs two columns layout that is ideal for a typical blog. For featured posts, it has got a slider. Apart from a technology blog, it can be used for any type of blog or website. As a user, you get the liberty to customize the theme in whichever way you want. You can choose from multiple animated grid-style header layouts to display your relevant posts and take control with switchable post listing styles and video player overlays. TechNews is a fully responsive and looks great on all devices. Noozebeat is a beautiful and fully responsive WordPress theme that is easy to use while carrying unique layout options. This theme has been designed for magazine and news websites. Noozebeat features more than 30 different coloring options that fine-tune the look of every single part of your site. It provides you with an option to use different article layouts for your homepage and category pages. The theme is SEO optimized that will help you rank higher in search engines like Google, Bing or Yahoo. It supports custom widgets which that provide more functionality. Ironic is one of the most complete industrial theme on the market. A wide range of unusual features enables this item to stand out from the crowd. 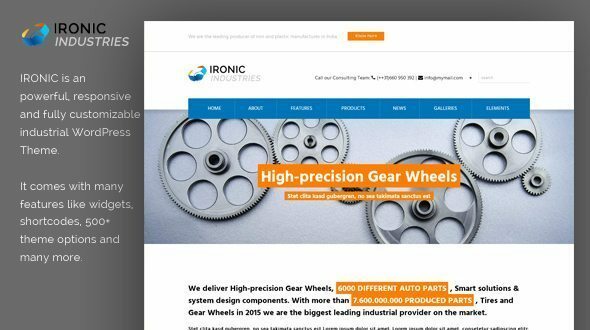 It is a modern and responsive WordPress theme which is perfect for any industrial company. It is a flexible theme which comes with more than 600 theme options, unlimited sections, portfolio and testimonial post type. It is entirely compatible with Woocommerce and allows you to sell products and services on your website. Ironic is very easy to use and set up. There is no need to have coding knowledge and you can easily create your own website. 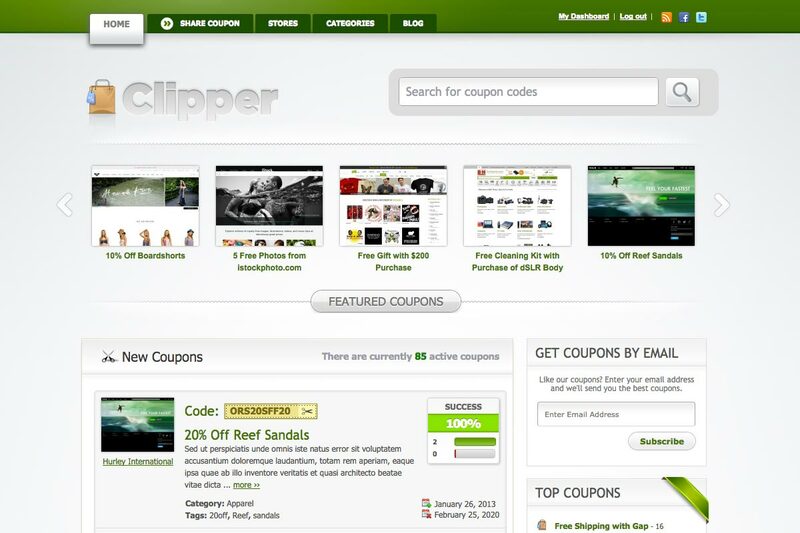 Clipper is a powerful coupon theme for WordPress. It enables you to setup your own mega-savings coupon site and start monetizing your traffic. This theme has a tight integration with WordPress that will allow you to be online and provide coupons within minutes. Clippers include a modern payment system that will enable you to make income on affiliate referrals and charge visitors to list coupons on the website. PayPal and bank transfer modules are included. Clippers automatically hides your coupons and stores affiliate links. These affiliate links are unsightly and can deter your visitors from clicking them. Neuton is a WordPress theme with powerful features. It focuses on the content and audience. It has a truly unique design that will enable you to promote your magazine’s image to a new level. It also helps you to drive your user’s engagement by displaying your most discussed content site-wide. There are 7 different category layouts featured in this theme which create a truly unique experience for the readers. As a user, you can choose from multiple, carefully selected color schemes and even assign a different color scheme for each page. Colorway is a theme which gets installed simply by pressing the Activate button under the WordPress dashboard. 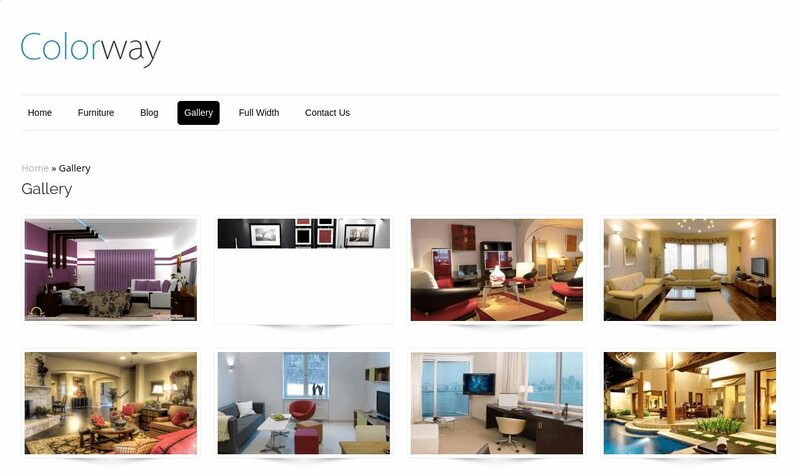 You will get a theme which is ready, pre-loaded with default generic content that even includes the images. Now by just editing the text and adding your own images, your website is available. This theme is perfect if you need a quick website when you are short on time and have other stuff to do. Colorway is also one of the best responsive themes that looks perfect on mobiles, smartphones, tablets, desktops etc. 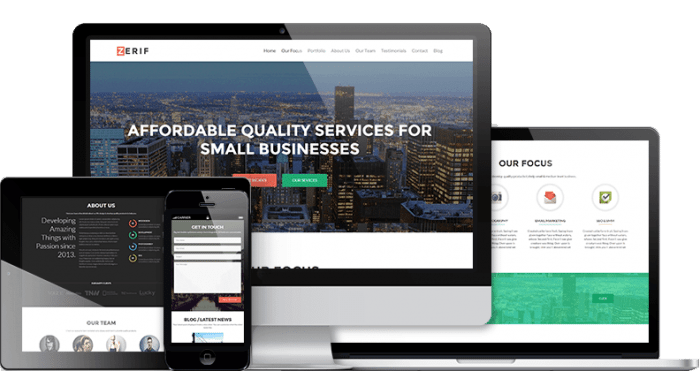 Zerif Pro is an extremely successful and versatile WordPress theme that enables you to build a stylish one-page-website and promote your online business or service. With this theme, you can create memorable pages with smooth parallax effects. The lightweight content slider offers you smooth and great looking animations. The options panel can be used to customize any given element with the exact color that is desired by you. It allows you to build a front page for your WooCommerce store in a matter of minutes. Your sales will be benefited by the neat and clean presentation and make your store accessible to everyone. School is a fully responsive theme featuring a clean and light design. It has been designed for schools that want to have an online presence and enhance the ability to provide engaging educational information. It has plenty of room for educational information. Custom post types for galleries and events enhance the ability to provide a high-quality education. This theme includes multiple columns, recommended shortcodes, responsive layout, full-width pages, pages with sidebars and more. This theme is perfect for schools, classes, daycares and other educational programs. Web Design Agency is a responsive WordPress theme that quickly adapts to any gadget with any screen size. Text and images are rendered correctly which makes them flexible. This will be a big boost for converting your visitors as they will not be restricted in any way depending on their location or device. The theme will give the users a feel of real immersion. It will provide an illusion of depth in 2D environments of your website. Parallax will make the user experience much better and will persuade the users to come back to your site every now and them. 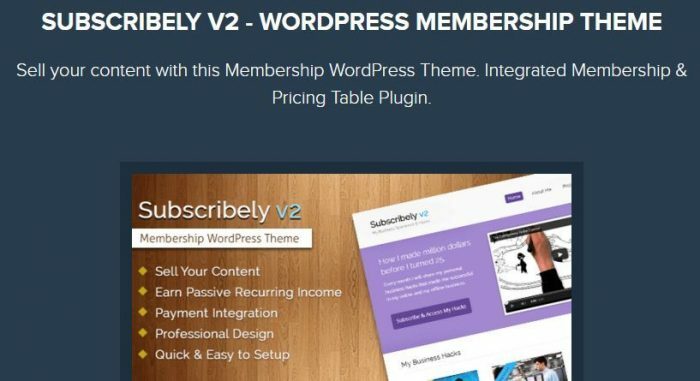 SUBSCRIBELY V2 is a WordPress membership theme that has been designed for building a membership website that will allow you to sell your content online. This item will enable you to create a sleek membership website. A professional looking website can be set up in just a few steps. The theme comes loaded with features making it very easy to setup your own membership website. Once you use this theme there is no need to look out for other membership components at different places. 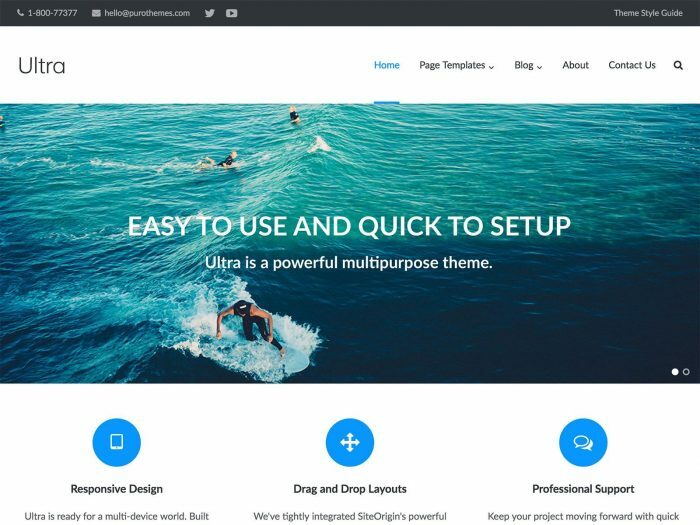 Ultra is one of the most powerful and flexible WordPress themes which enables you to create a site quickly and beautifully. As a user, you get a complete control of your theme design from header to footer. Ultra comes loaded with design skins and pre-made demo sites. The theme apart from transforming the site’s design appearance, also helps you to setup a real sample site within minutes. You can import the demo setup, with just a single click that includes the theme settings, content, menus, widgets etc. exactly like the theme demos. This proves as a big time saver for creating client sites. Moschino is a minimalist WordPress portfolio theme. It has been created for freelancers who want to showcase their work. This theme is adaptable to any other related project including the online shops. It is a lightweight theme that has been built with custom types and some basic shortcodes that enable you to customize each page according to your project. Moschino has been constructed with HTML5 and CSS3. It is a clean coded, modern, trendy and eye-catching theme. It is the perfect choice for a portfolio, e-commerce or blog website. 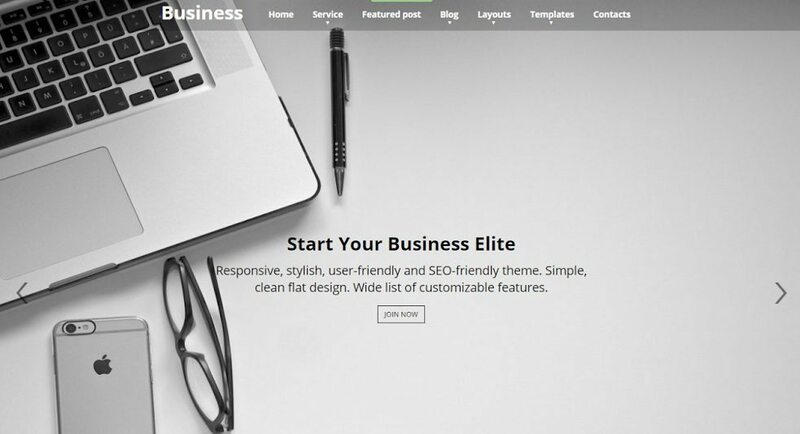 Business Elite is a fully responsive and SEO friendly WordPress theme. It has been built with a clean design that enables you to promote your corporate identity and engage more clients. This is a one page WordPress theme that uses page scroll and parallax technology to make the site look more professional. The sticky menu leads to easier navigation. This theme is compatible with most of the top WordPress plugins that include JetPack, Photo Gallery, BuddyPress, Woocommerce etc. Business Elite theme is compatible with all the browsers, mobile friendly and retina-ready and overall responsive appearance. 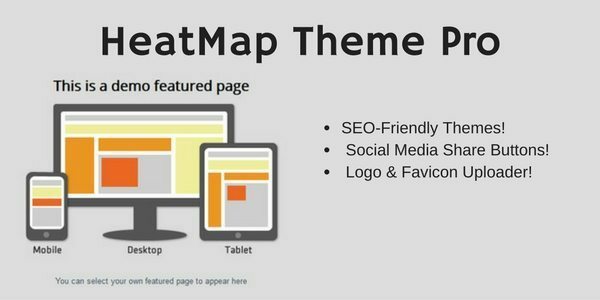 HeatMap theme pro is a firm favorite amongst niche bloggers and internet marketers. This theme enables you to create a great looking ad monetized website without customizing code or installing additional ad plugins. It works with all leading ad networks. This theme is best suited for Adsense blogs and niche sites, affiliate product review sites, blank canvas squeeze pages, regular websites and blogs. You will experience the flexibility of 23 ad ready widget positions. As a user, you get the power to choose your strategy and have a complete control of your ad placement. DailyMag is a magazine theme that possesses a crisp typography, multiple layouts, two menu zones and a highly customizable appearance. It’s a great theme for fashion, sports, news, food, bloggers and more. A number of layout options are included in this theme which makes it easy to select and customize your design. You can present the content just the way you want to with the help of six layout options included. This theme includes support for Featured Content that displays four posts with a featured tag under the primary section. The beautiful typography makes the content stand out and look great on all devices. 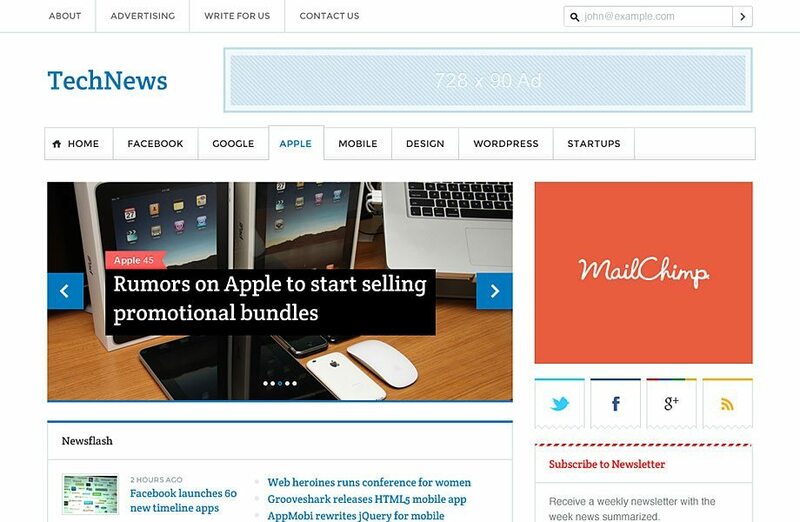 NewsWire is a WordPress theme that has been designed for local news websites and blogs. It takes a lead from some of the popular news sites. It comes loaded with a huge home page slider that showcases the latest posts. You can upload your own logo, change fonts, colors and background without any custom coding with the help of customizing options. There are two customizable menus and you can also add banner code to the header and sidebar from the customize menu. The theme is fully responsive which makes it work great on mobiles, tablets and desktops. 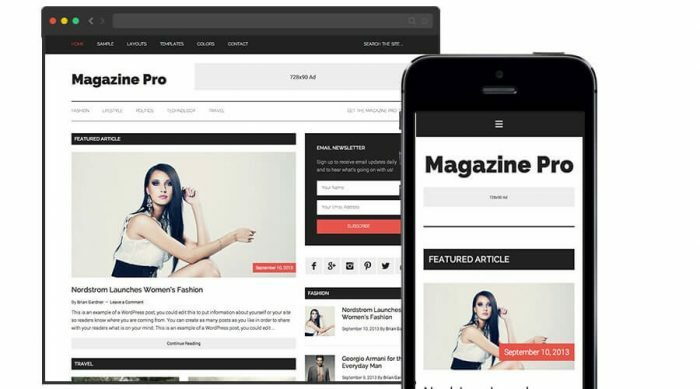 Magazine Pro theme will enable you to stand out in the online publishing domain with the stylish and glossy visual appearance of a Magazine theme. The theme has versatile layouts and a media ready design. The theme options will enable you to set up and run your website in minutes. Magazine Pro is a flexible eCommerce theme as it has been pre-styled for WooCommerce that will allow you to set up your online store. The theme is fully responsive which will make your website perfectly optimized for every browser, device and screen size. 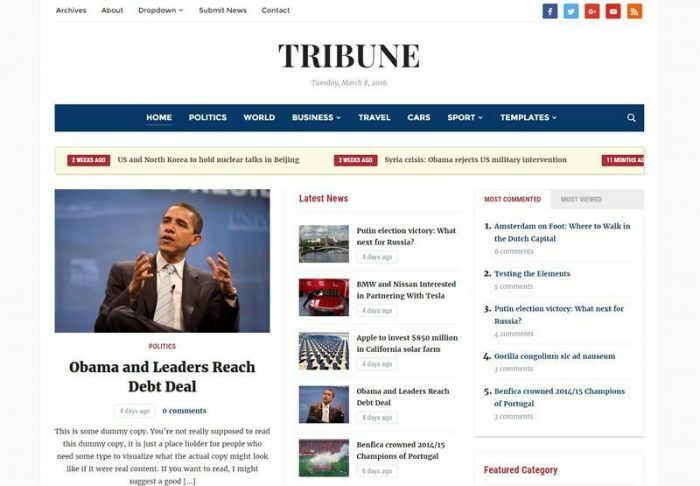 Tribune is a powerful newspaper theme that offers an elegant display of articles and categories on the homepage. Every detail of your theme can be easily customized to meet your needs with the help of advanced Theme Options Panel. There is a custom video widget that allows you to embed video from popular video-sharing websites. You can quickly add any of the features like the Tiled Galleries, Related Posts, Sharing Button, Extra Sidebar with the help of Jetpack. The theme has a responsive layout that automatically adapts to fit any screen resolution on desktop and mobile devices. The Thesis theme has a flexible design which is so much more than just a theme. This theme is more of a template engine that will enable you to build your own designs from the scratch. You can quickly add widgetized areas to your website by just dragging a box onto the skin editor. The biggest advantage of this theme is that it is Search engine Optimized. This is one of the huge selling points of this theme. This item will provide you with stellar support services. As a user, you will be entitled to free future upgrades. ReviewPro website will enable you to create a professional reviews website. This theme will allow you to give your reviews a professional touch and also add scores and other rating criteria to your published reviews. It features a content slider that enables you to display your articles in an auto-scrolling slideshow. 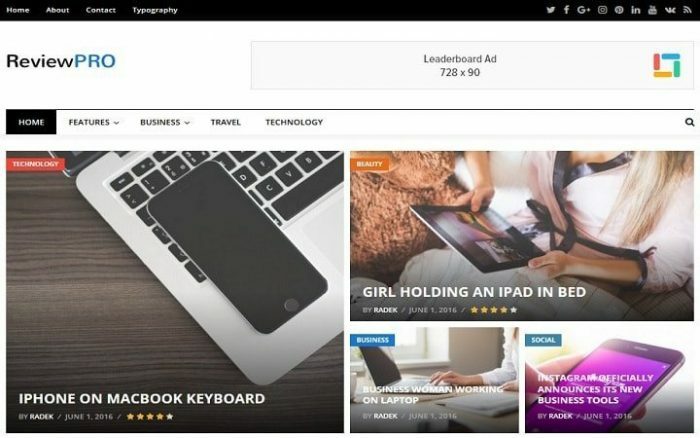 This will make your visitors to notice your best content, read more of your articles and view more advertisements or products. The design of ReviewPro along with its review publishing functionality will provide your website the much-needed credibility that is required to attract an audience of regular readers. Eleven40 Pro theme will create a look that will attract your readers irrespective of the device they are using. This item will give you the option to choose from a selection of templates that are pre-made that will assist you in building your website. You can make use of the two sidebars and three footer widget areas that can be customized to fit your brand. The theme customizer will give you the access to tweak your theme’s settings, color scheme and content. You can also preview the changes in real-time. The responsiveness of this theme will optimize your website for every browser and device of any screen size. I hope you enjoyed looking through these WordPress themes. They are all built to be responsive – meaning they are optimized for mobile devices like the iPad, iPhone, and Android. I highly recommend going with a responsive theme since most modern websites are now being built to accommodate every possible screen size. Thank you for featuring Newspaper theme by tagDiv in your collection!